PROMET Makarska, performs a public road passenger transport on almost the entire Croatian territory held several lines abroad, carrying passengers, travel agencies, transporting children from the elementary school and high school students, performs periodic and special driving passengers, the station provides services and technical inspection of vehicles. Company Name – PROMET, dates back in 1949. year, when it was formed from the previously established Circuit state auto company. Company of the same name, continuously operating to this day. 1995th year, sir. Mate Jujnović buys majority stake in the company and thus passes into private majority ownership. Mr. Mate Jujnović entrepreneur born in the skin in 1946. year, and the capital, which bought the company PROMET, acquired in New Zealand dealing with the business for a period of 1968th year to date. In the group are companies PROMET dd Makarska, Makarska Transport Ltd., Bus station Split, Sinj Haulage Ltd, Transportation Sinj doo. 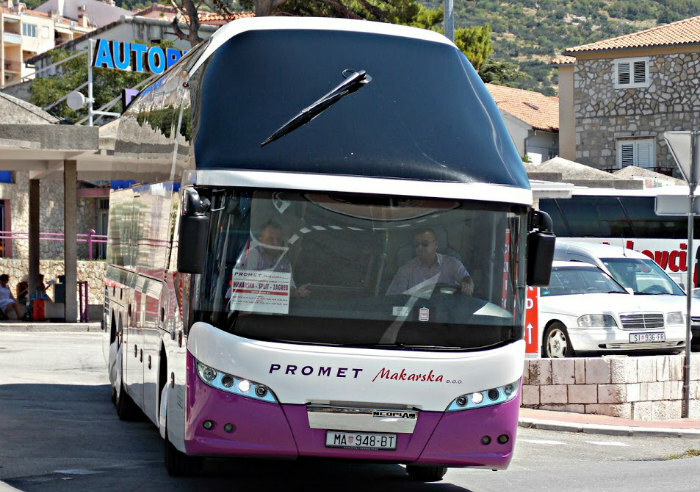 The owners are a bus station in Makarska and roadworthiness test in Makarska, Sinj and Vrgorac. Group PROMET has high quality tourist buses. In our fleet consists of the following brands of buses: Neoplan, Setra, MAN, Mercedes and King Long. Buses have a capacity of 16, 49, 57 and 65 seats. The company belongs to medium size companies with 230 employees. 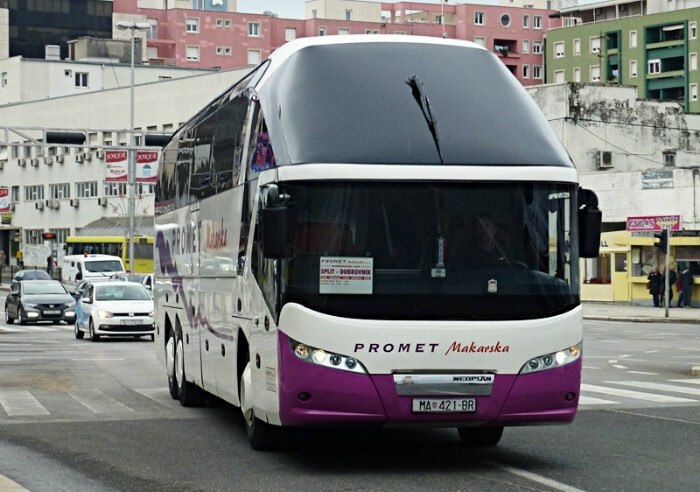 The principal activity of the company Promet Makarska bus passenger. We are proud 65-year tradition of passenger transport safe and comfortable buses with friendly staff. Every day we work to improve the quality of our services with the slogan “With us the traveler always on the first place”.